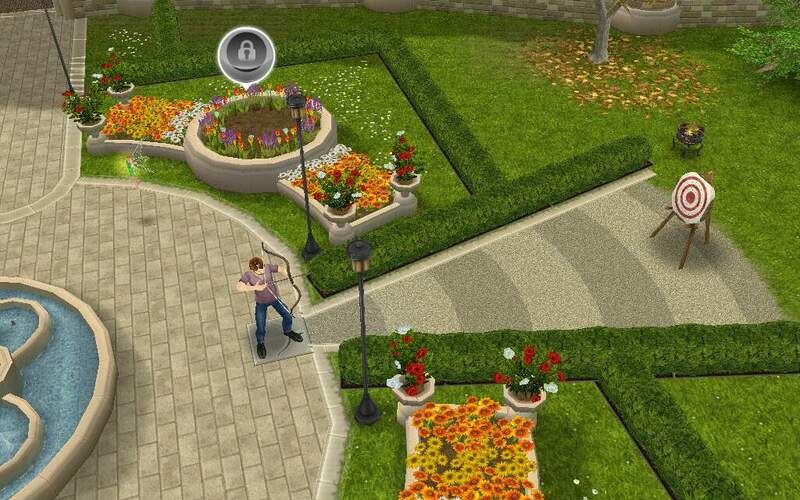 Adult and Teen sims will be able to complete the archery hobby using the targets in the castle grounds once you complete the Royal Lineage Quest. After the time has passed come back and click the exclamation mark above your sims head to find one of the archery shot collectibles. Every time your sim practices archery your sims hobby skill level up percentage will increase, once you reach 100% you will level up, there are 6 levels. You need to reach level 6 to be able to unlock all of the archery shot collectibles, once unlocked you will be able to find them. The Chosen One Side Splitter and Sherwood’s Finest are now unlocked in the hobby collection. 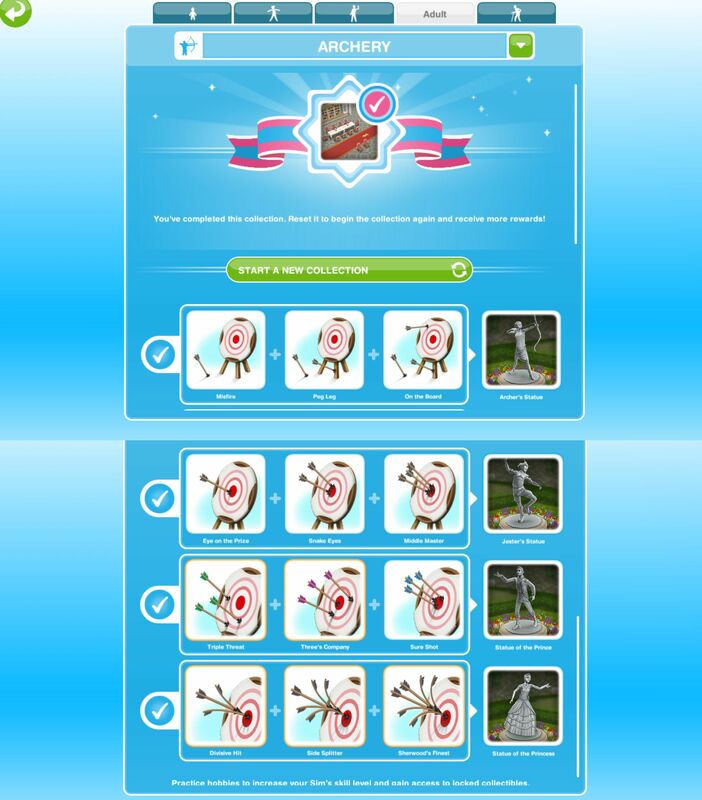 The first time you complete a row you will unlock one of the statues in the garden, you need to complete the collection and build all 4 statues to be able to open the Castle, to complete the collection you need to find all 12 of the collectibles. After the first time you will earn XPs when you complete a row in the collection. you don’t need them, but they are pets who find money and LPs. What did I get if I start a new collection? these hobbies seem to take forever to do these days! have you definitely completed the last row? I have been trying for the last statue to be unlocked for weeks, both of my Archers are working full time on both stands. Should I switch to new Archers at the beginner level? Its getting pretty frustrating! Hi, do we need to build the archer’s statue first in order to find second row items? Thank you. I too have been working on the archery collection for at least two months now, my first set of sims actually aged to seniors and then died while trying to complete this. This game is no longer fun, just repetitive and boring and disappointing and now even depressing with the sims dying. It is now five months going on this, I have had at least four sims age to death doing it and the last statue is still not built because I cannot get the last archery award. As I have stated above, this game has gotten really bad, tasks take forever, as in multiple Sim lifetimes which makes gameplay boring and tedious and depressing. 5 months?! Definitely contact EA about this, that is ridiculous! Does this hobbies have time limit? None of my teens or adults can open section three of the garden archery section. I’ve been at it for months and nothing! What am I doing wrong?